Cooper Machine is a representative of MDI Metal Detectors. Feel free to give us a call for more information or a quote. The TWA-2000 Surround Metal Detector Systems with proven MP-4 Digital Technology provide superb reliability and unmatched performance. 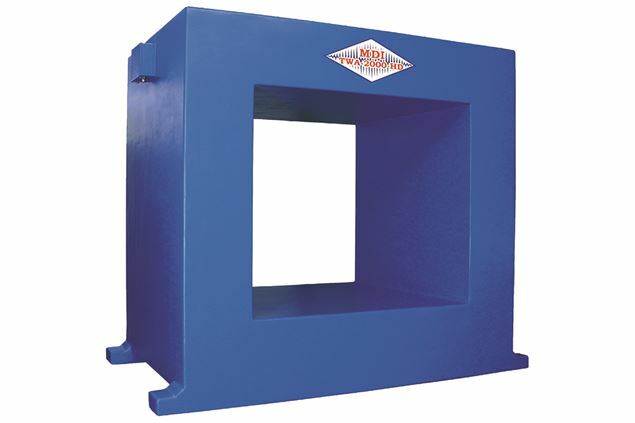 The TWA-2000 Series Metal Detectors are the number one systems in the industry and they are proven to be the best investment you will make to protect your equipment and business from downtime and to ensure the quality of your product. Contact us for more information on which system is appropriate for your application. Not all mills are designed alike and not all mills are constructed to accommodate a metal detector where it is needed. The TWA-2000-HD, with MP-4 Digital Technology, will meet expectations in demanding installations and consistently provide top performance in areas where other metal detectors have failed. A Nolco fiberglass section is also available.